Yoga is touted as having numerous health benefits, ranging from increased flexibility and strength to reduced stress and anxiety. But have you ever wondered if Yoga has any effect on the very foundation of your body—your bones? 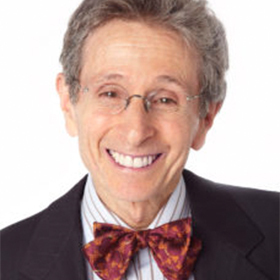 Dr. Loren Fishman, M.D., is the medical director of Manhattan Physical Medicine and Rehabilitation and a physiatrist at Columbia University who has made it his mission to determine Yoga’s effect on bone health. After conducting a promising pilot study of Yoga’s effect on bone loss in 2005, Dr. Fishman conducted a more thorough study from 2005-2015. During the longer study, participants were encouraged to practice 12 poses every day, holding each for about 30 seconds. Dr. Fishman discovered that participants who practiced regularly over the ten-year period had improved bone density in the spine and femur. The majority of the study’s participants had osteoporosis or osteopenia, so the results may support the claim that Yoga can help reverse bone loss. You don’t have to be suffering from bone loss to reap Yoga’s benefits of better bone health. In fact, you may be able to help prevent the onset of osteoporosis or osteopenia with regular Yoga practice. Below are the 12 poses that participants in Dr. Fishman’s study practiced to help restore bone density. If you’d like to practice with instructions and modifications for each pose, follow along with Dr. Fishman’s video: Dr. Fishman’s Method-12 Poses vs. Osteoporosis. For best results, please practice under the guidance of a certified teacher. Click here to follow along with Dr. Fishman’s Video. Join Dr. Fishman to explore safe, effective methods for improving bone health with Yoga during Yoga for Osteoporosis: Strong to the Bones on June 15–17.